Blog Quick Quotes: Fun Card Tutorial with Susie! Fun Card Tutorial with Susie! Hello and welcome! 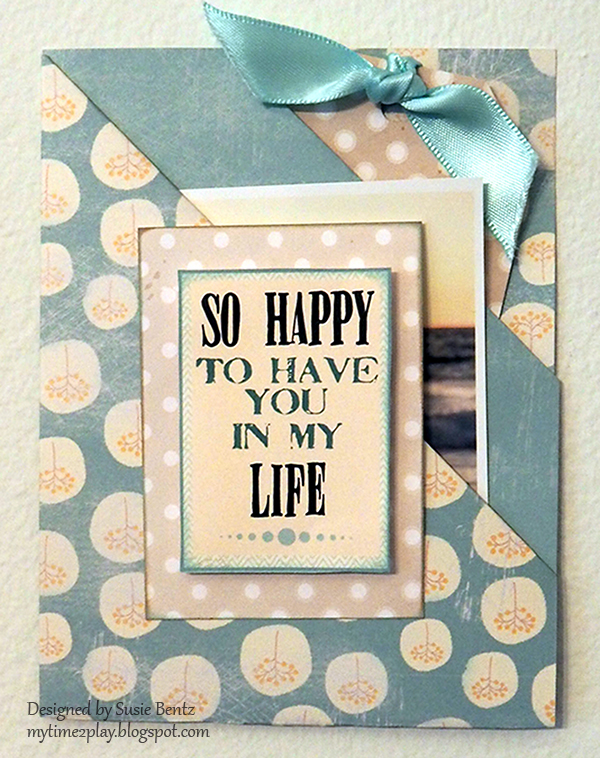 Susie here today with a card I created using the beautiful Chiffon collection! 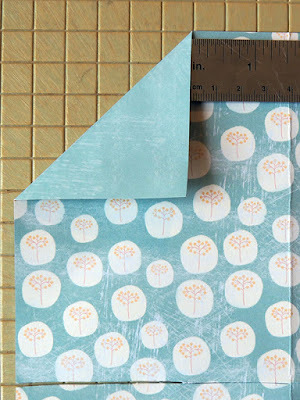 It is one of my favorite cards to make because it is quick, easy, pretty and practical: a Diagonal Double Pocket Card. I frequently find myself in the position of needing a quick gift for somebody. What to do? What to do?... Answer: A Gift Card! These days you can get a gift card for just about anything: Home Improvement, Music, Movies, Restaurants, Books, Clothing, Manicures and Massages! The real question is how to stylishly present the gift card. Here is how you do it! The base of the card is created by folding a sheet of 8.5”x11” piece of paper, so I trimmed down a piece of Chiffon 101. 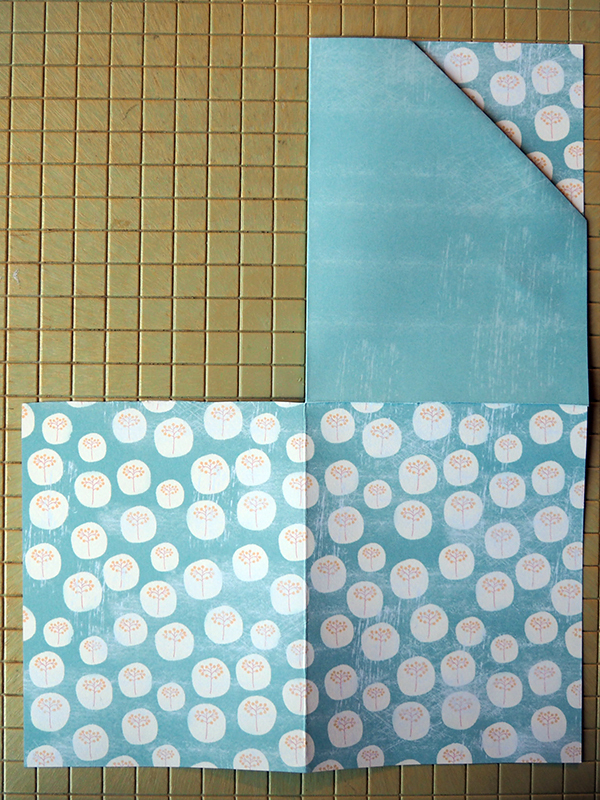 Fold the paper in half length-wise and crease, with the solid blue on the inside. Open. Turn paper 90 degrees. 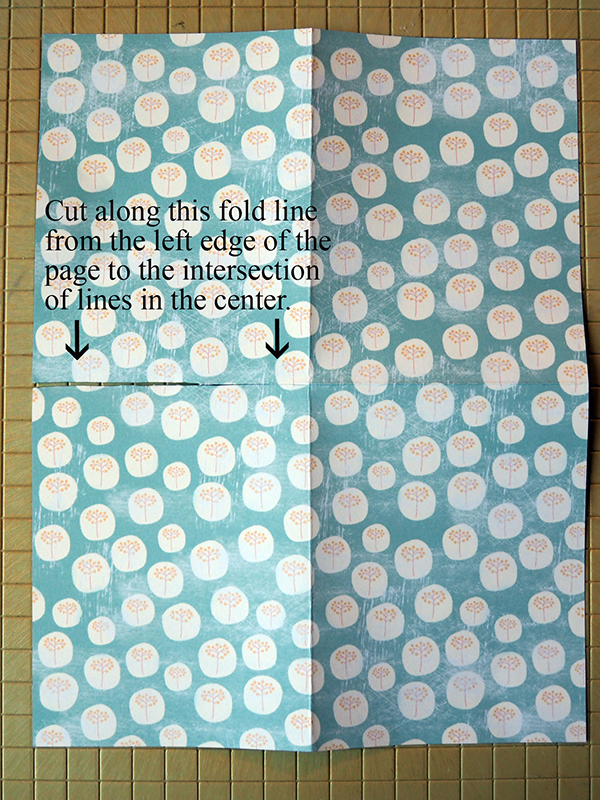 Fold the paper in half again, width-wise this time, and crease. Open. 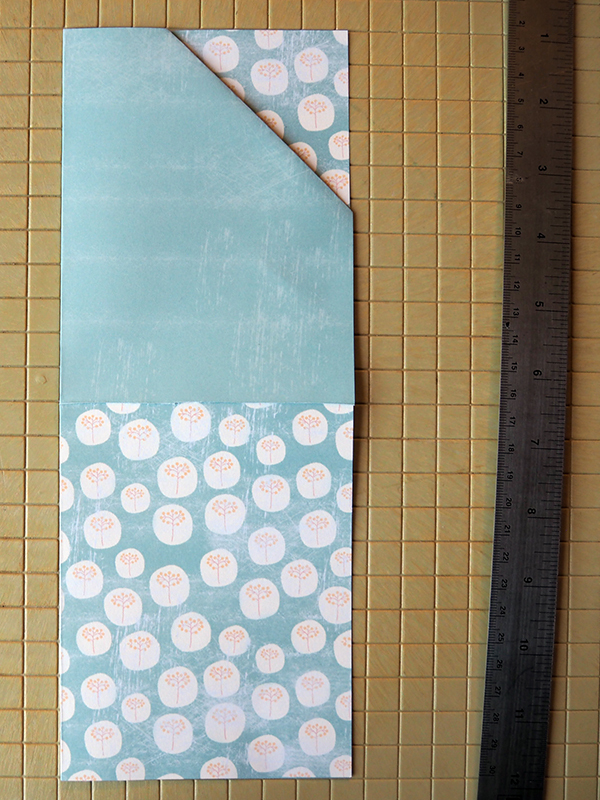 Align paper so the short side is along the bottom. 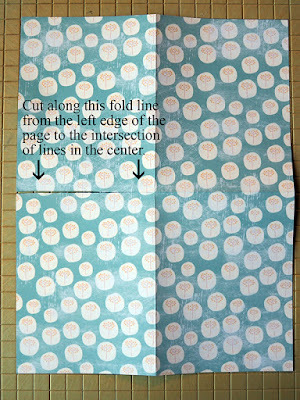 Cut along the fold line from the left edge of the paper to the intersection of lines in the middle. 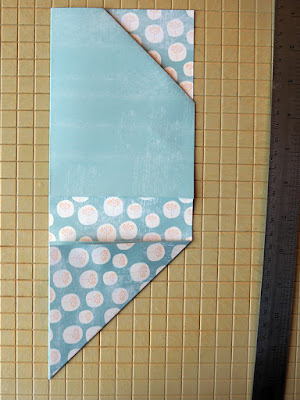 Fold the top left corner down so that it is about 1-1/2" from the center fold line. Crease. Fold the top left quadrant over on top of the right quadrant. Crease. Adhere top blue layer to the printed background along right edge. Fold the bottom left quadrant under the bottom right quadrant. Crease. 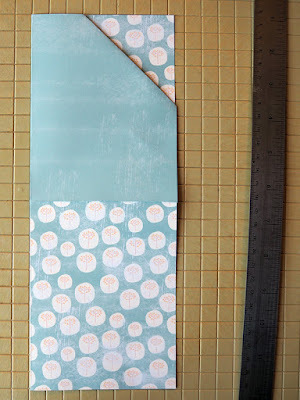 Fold the bottom right corner up so that it meets the center fold line. Be sure you fold both layers at the same time. Crease. Fold the bottom section up. Adhere along the left and right edges. 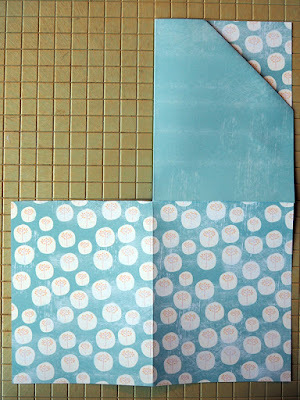 At this point, I created a focal image for the front of the card by cutting out one of the sentiments from Chiffon 500. I adhered it with dimensional foam tape on top of a mat I cut from Chiffon 100. I inked the edges with Milk Chocolate and Seabrook. 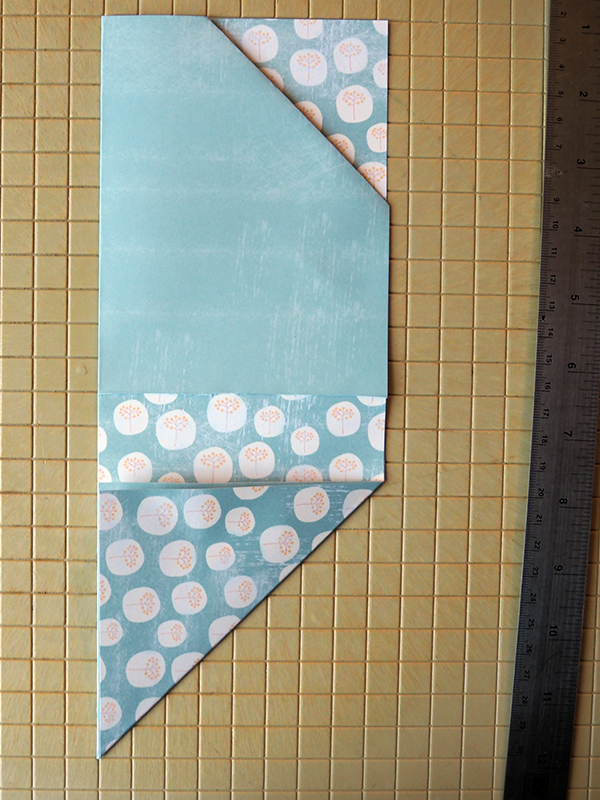 Next, I cut a tag and tied it with a coordinating ribbon. I used the tag to include a personal note and tucked it into the back pocket. At this point I usually tuck a gift card into the front pocket, adhered to a 2nd tag. In this case, since I made the card for my husband, I decided to include a photo instead. 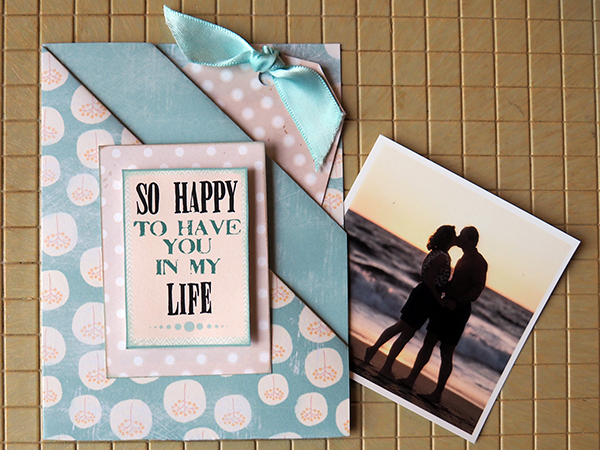 I make these cards all the time because they are fast and easy to customize for all occasions. I hope you will give it a try! This is beautiful! Love the tutorial! Very nice card, really creative way to use your paper. I seriously adore this card! Love this technique, I can see using it on an art journal page too!